Have made these countless times over the years with my children. My children have made them on their own- as this after all a recipe from a children's cookbook! Great for adding to lunch boxes as treats! 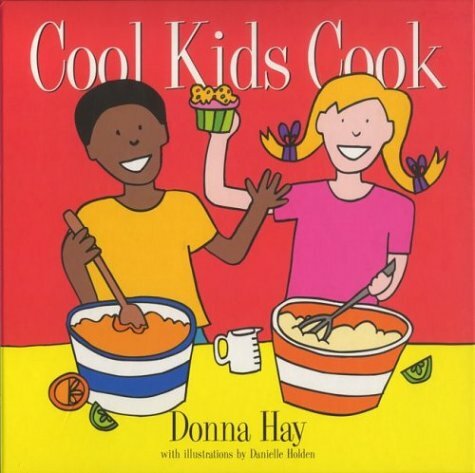 From world-famous, award-winning cookbook author Donna Hay comes a cookbook that will make kids forget about asking the normal refrain of "What's for dinner?" and start asking "What can I make for dinner?" Brightly illustrated and coil-bound, this book offers imaginatively named recipes like Spaceman Eggs and Jungle Curry that will have children clamoring for a chance to get into the kitchen and show off their culinary skills. Easy-to-follow instructions and step-by-step illustrations make it simple for kids to demonstrate their new talent and for parents to take a well-deserved break.